As part of our holiday TV special on Freeform, Disney's Fairy Tale Weddings: Holiday Magic, we wanted to create a magical moment by bringing Arendelle to life for a wedding couple. The Magic Bench is an augmented reality experience, which completely immerses guests in a virtual environment. Created by Disney Research, the Magic Bench is unlike typical wedding entertainment through its use of cutting-edge technology. 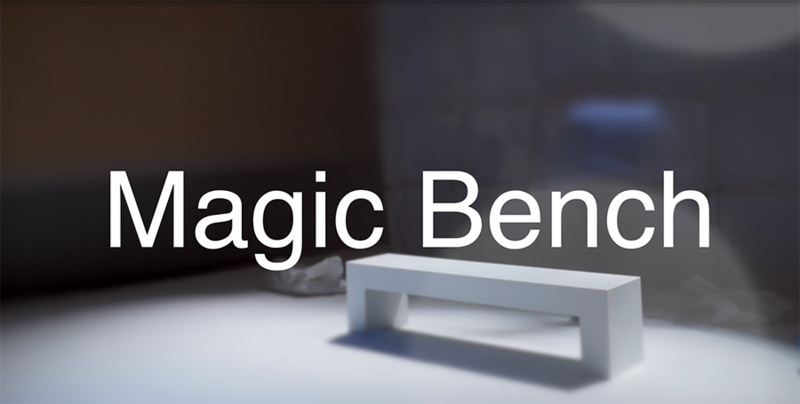 Magic Bench is a combined augmented and mixed reality experience that you can enjoy as a group. It lets users see, hear and feel animated characters. The best part is that you don't have to wear a headset or stare at a handheld device. This magical moment was inspired by the couple's winter wonderland wedding and included Disney characters for the first time. As guests interact with snow falling, a blizzard rolls in before Olaf and Sven from Frozen make a surprise special appearance. Missed our holiday TV special? Watch it now on Freeform.com, the Freeform App, Hulu, or OnDemand!